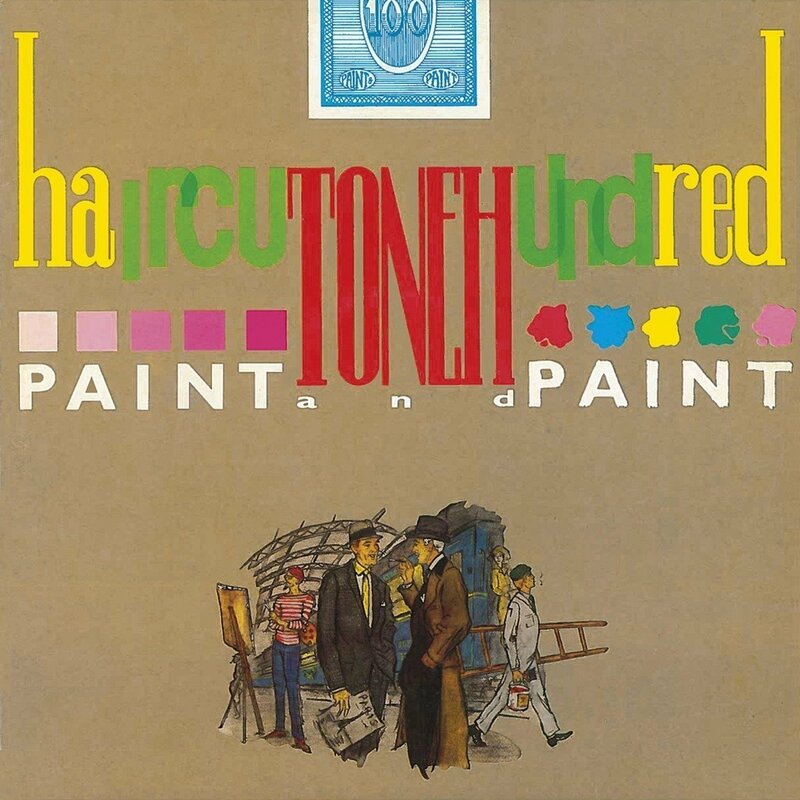 Discussions Magazine Music Blog: HAIRCUT 100/Paint And Paint (Deluxe Edition) review! 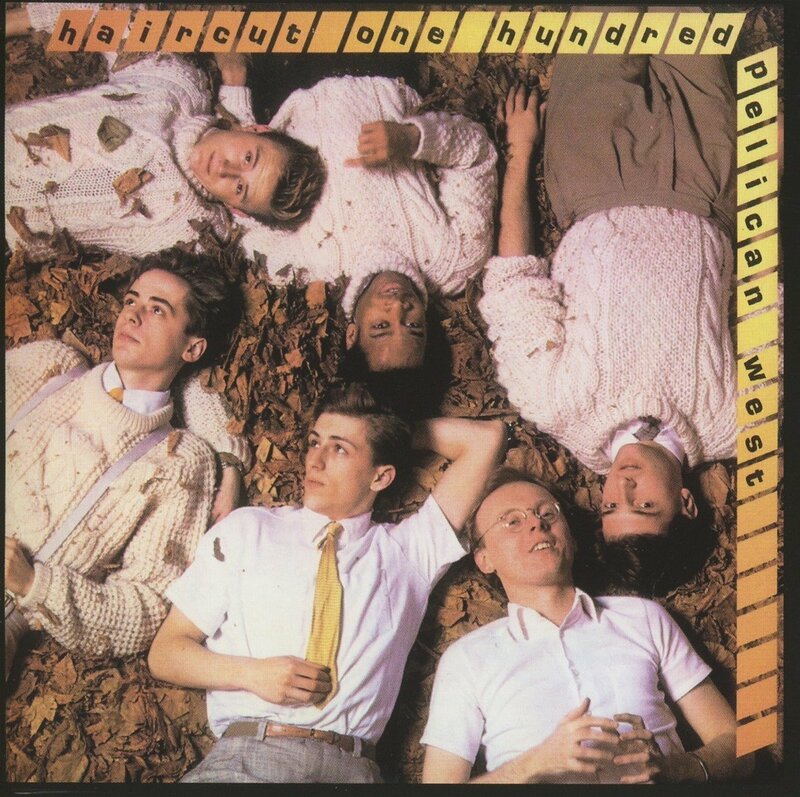 While Heyward initially made the smooth transition from frontman to solo artist when he released his smooth and glossy (and also quite wonderful) NORTH OF A MIRACLE album in 1983, the band had to scrap the songs they had already recorded and start from scratch. 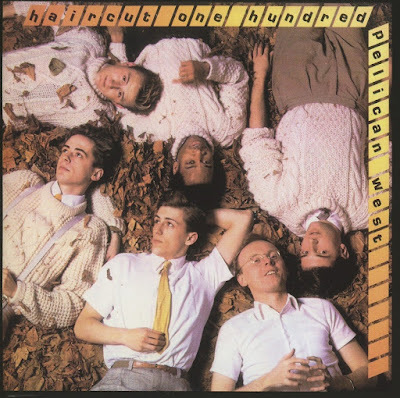 Knowing that they had to recalibrate their chemistry in order to move forward, they moved percussionist and backing vocalist Marc Fox up front and began writing new material themselves, Haircut 100 had to leap through legal hassles in order to retain the band name. 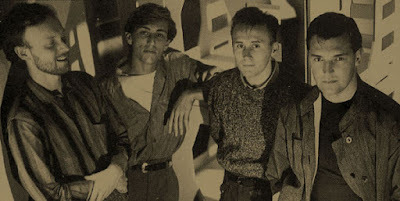 Once the dust settled, H100 ended up on Polydor and issued PAINT AND PAINT, their long-awaited sophomore album in 1984. Unfortunately, times had changed and this platter was generally ignored upon release. Even worse, it didn’t even get a U.S. release, which explains why there are so few fans in the States that even know of PAINT AND PAINT’s existence. Now, 33 years later, Cherry Pop is giving everyone the chance to hear the album (again?) with a special deluxe two CD edition that not only contains a wonderfully remastered version of the original release but also includes b-sides, extended mixes, unreleased ‘development’ mixes, and radio sessions. In amongst these bonus tracks are songs never previously released, albeit in instrumental form. Oh, and let me remind you that this is the first time this album has appeared officially on CD! So, how was/is PAINT AND PAINT? If you go into the album expecting PELICAN WEST II, you may be a wee bit disappointed because this was not PW II and was not meant to be. PAINT AND PAINT, even after all of these years, is still a wonderful listening experience. It is filled with great hooks, extraordinary playing, great arranging, and a sense of joy. Although the band was under extreme pressure to come up with the goods, the stress did not make its way into the music. Songs like “So Tired,” “Immaterial,” “Fish In A Bowl,” “The Hidden Years,” and “Too Up Two Down” rivaled many tracks off of the band’s debut. Perhaps they were a little more Pop-filled and less Latin Funk-fueled but they were great tunes nonetheless. 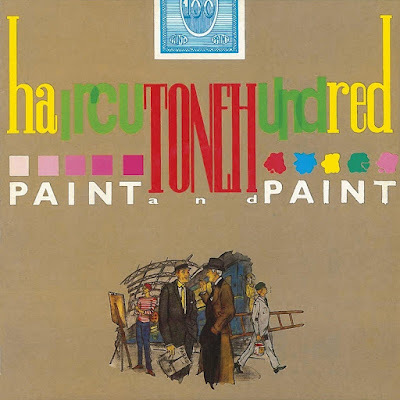 PAINT AND PAINT, in my opinion, was actually a slightly better album than Nick’s solo debut (which I also loved) and I couldn’t understand why the album pretty much disappeared from view shortly after its release. For over three decades, I’ve continued to share my love for the album… and now Cherry Pop has made it so much easier for everyone to hear it with this new reissue. On this remaster, Phil Smith’s horn arrangements really leap out of the speakers and right into your lap. Nemes’ bass playing slaps you upside the head. Jones’ playing is seven kinds of funky. Marc Fox’s vocals are sweet and crystal clear. Cunningham (who left the band before the album was finished) remains an under-rated drummer. The band is on fire on this album, very creative and exciting. The album, like PELICAN WEST, isn’t totally perfect but it is absolutely delightful despite its very minor faults (a song or two don't match the quality of the rest of the tracks). The bonus material, including early ‘development’ mixes, is very exciting to hear. Stripped of their production gloss (and vocals and overdubs), the band’s creative energy shines. Oh, and the extended mix of “So Tired” remains one of my favorite remixes ever – the layered harmonies on that track nearly take center stage. Really lovely. I can’t say enough good things about this release but that might be because I’ve been a fan of the album for some 33 years! It is nearly as timeless as the band’s debut and definitely deserves as much love as many of you have given Nick’s solo career. It’s never too late for a new coat of PAINT AND PAINT! Don't forget to read my EXCLUSIVE 2016 Q&A with Graham Jones! I was fortunate enough to get a copy on vinyl when Paint and Paint came out and can't wait to get a CD and hear the additional material. Agree that the musicianship is sublime and thoroughly recommend the live DVD made at the time that is available for purchase. I bought the album when it came out. It was an import here in the U.S. As popular as the and was over here, I didnt see many copies of the LP at all back in the day! The CD is so worth the wait. So much great stuff to explore. And yes, I just got that DVD a few weeks back. I really like it.